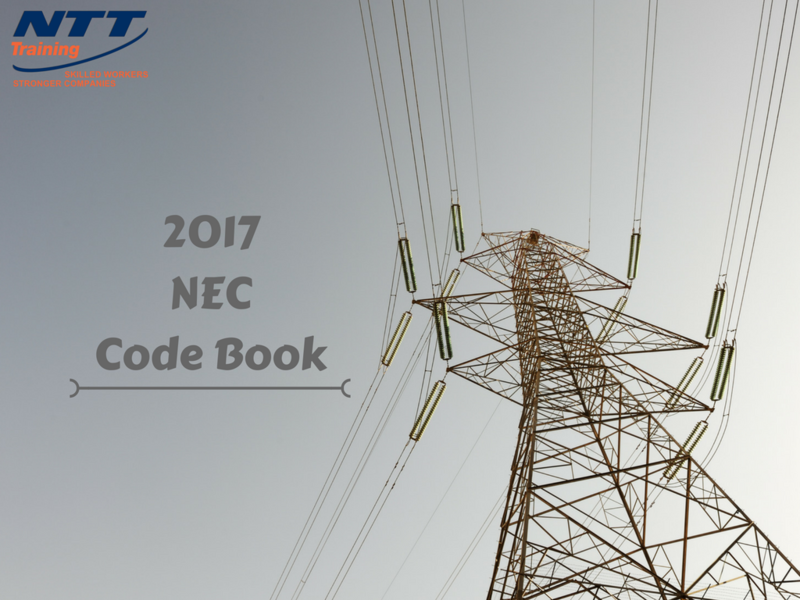 If you wish to be successful in the electrical engineering industry, you need to be familiar with the NEC® code book, which recently came out with its 2017 edition. There are many rules and regulations that you need to understand, and several protocols to learn in order to do your job in a legal and effective manner. Let’s take a look at what you need to know in order to fully abide by the latest edition of the rule book. – Article 90 serves as the introduction and provides a basic understanding of the NCE’s scope and purpose. – Article 100 contains definitions that are used through the code book. This is a useful feature that helps resolve many misunderstandings which could arise during an assignment. Thus, it would be better for your training to memorize the information available in this article as much as possible. – Wiring, grounding, and protection is covered in chapter 2. – Chapters 2, 3, and 4 contain information needed for general electrician jobs. The information is also useful for preparing for the National Electrical Code examination. – For jobs that require special knowledge of atypical electrical applications, chapter 5, 6, 7, and 8 are available. The information provided in these sections is not required for studying for the NEC exam. – Chapter 9 contains tables and examples relating to the rest of the book. This is another section of the rule book that should be memorized or kept close at hand while working on electrical projects. Thus, we see that for non-specialized work, chapters 1, 2, 3, and 4 should be studied, with chapter 9 providing useful examples and references with respect to the other chapters. For making use of the tables in the 9th chapter, read the ‘Notes to Tables’ guide so that you can easily find the information you are looking for. Starting in July, NTT Training delivered a three-part webinar series addressing the new changes/updates coming to the 2017 NEC®. The webinar series was hosted by NTT Program Manager, Randy Barnett and Electrical Code & Compliance Instructor, Mel Amundson. These previously recorded webinars can be found on the resources page of this website. Click Here to view the complete webinar series. You will read about the different kinds of equipment that you will use while on the job. Information provided includes maintenance instructions, hazard warning, reconditioning, and access to working spaces. Learn about wiring laws for dwelling units and energy limits that need to be kept in mind during installation. Information is also provided about protecting against electrical surging and grounding techniques, shock hazard management, and voltage ratings and characteristics. A list is provided of the parts of the house that require AFCI protection. Other topics include overhead service conductors, arc energy reduction, and grounding guidelines. Discussion of the main equipment that is to be used for electrical work, including light control switches, receptacles with USB chargers, tamper resistant receptacles that must be used within dwelling places, and switchboards. In addition, there is also a discussion about industrial control panels, dishwashers that are built into the dwelling units, and generators. There are also topics that discuss non-specialized jobs which will need to be performed by the engineer. This includes discussions on hazardous locations for work assignments and how to navigate such locations. Wiring methods for class 1 division 2 are also discussed. Tables are provided for major and minor repair garages, health care facilities, and essential electrical system transfer switches. This section contains topics about the special equipment that you will have to make use of for tackling specialized assignments. You will have to learn about photovoltaic powered signs, minimum covered depths swimming pools, electrically powered lifts and fire pump surge protectors. This section discusses how to find a temporary source of power for repairing or maintenance purposes, how to locate and operate the branch lighting emergency transfer switch and information about optical fiber cables. This section talks about unlisted wires and cables that are installed inside buildings for personal use such as broadband cables. With new advances in privately-owned wind and solar power generation and the creation of new equipment to attend to their needs, the 2017 addition of the rule book covers specifics about higher voltage systems and energy decentralization. A new labeling exercise has taken place which has resulted in detailed arc flash hazard warnings available on equipment. Space clearance parameters have been specified for installing equipment, in addition to clarifying other safeguards to be used by the installers and maintenance workers. There have also been new provisions made to promote electrical and fire safety at home. National Electric Code can be confusing for newcomers. Learn all everything you need to know to stay safe with 2017 NATIONAL ELECTRICAL CODE and/or NEC CHANGES/UPDATES training from NTT Inc.
OSHA Safety Regulations Commonly Overlooked: Are You Aware of Them?